The World Seniors Chess Championship round 9was played in the 5 star Galini Hotel in Kamena Vourla, Greece. Despite the fighting spirit of the participants and the interesting games in the round, no changes at the top of the table were seen. IM Jens Kristiansen is sole leader for third consecutive day. 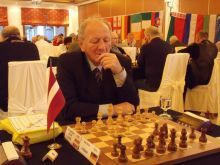 Today he can count himself lucky, as he was in a very difficult position against the rating favorite GM Anatoly Vaisser. The French GM was in command of the game, controlling the position, but he missed a tactical blow with 30. Nd7 and instead played 30. h4 giving chances to black. This was wisely used by IM Kristiansen, who stirred the game into exchanges and after precise moves by both sides the match ended in a draw. 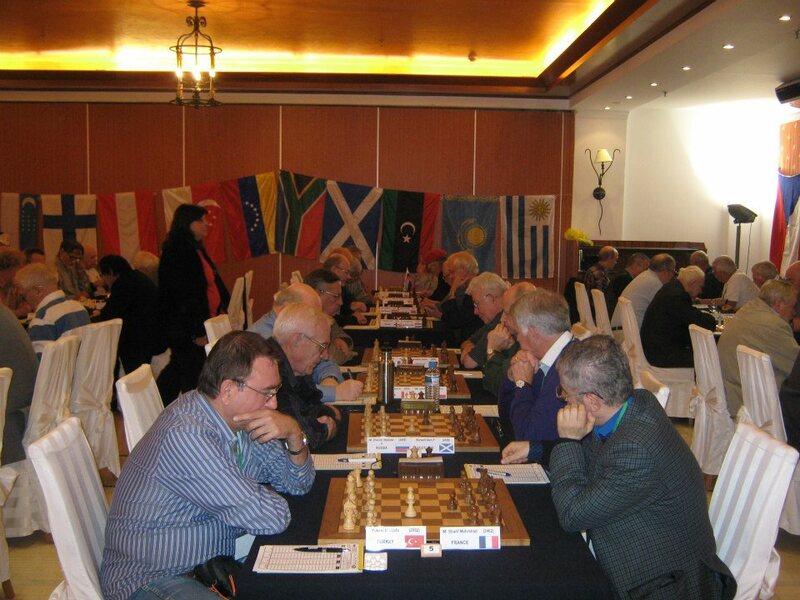 From the top 10 boards of the open section, only 3 players were victorious – GM Vlastimil Jasna, IM Leon Piasetski, and IM Mehrshad Sharif. Thus, the top 3 remained unchanged. 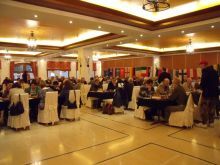 Tomorrow’s first boards games are IM Kristiansen – GM Jasna, GM Pushkov – GM Vaisser, and IM Piasetski – GM Sveshnikov. In the women section WGM Tamar Khmiadashvili defeated WIM Natalia Titorenko in one of the longest and most interesting games of the day. WIM Titorenko missed an early chance at move 13 to gain solid material advantage with 14.Nd5. Even though she still had the initiative, the position was complicated and after slight imprecisions at moves 27 and 30, black got the initiative. The pressure on white was piling up which led to the decisive 37. g4 mistake. 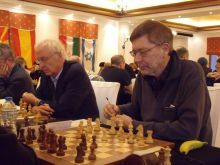 WIM Titorenko showed fighting spirit, but after a few more imprecisions and another blunder, WGM Tamar Khmiadashvili won the game. With this WGM Khmiadashvili is now top of the table, sharing the lead with WGM Strutinskaya and WFM Ankudinova who drew their game today.